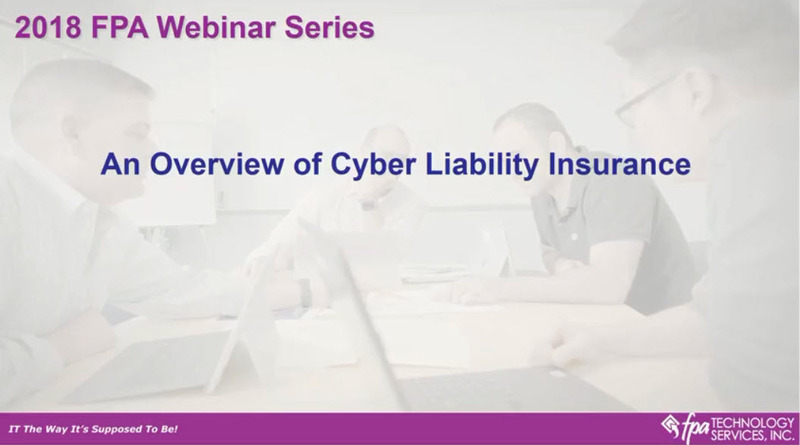 In this live Webinar, FPA covered cyber liability insurance fits into your overall business asset protection plan, what is and what isn’t covered under general and E&O insurance policies, and what, specifically, cyber breach insurance covers. 2. The types of policies and the types of cyber security situations they cover. 3. What “appropriate” cyber security coverage looks like these days. 4. The technology footprint every cyber security underwriter wants you to have in place to reduce your cost and ensure complete coverage. 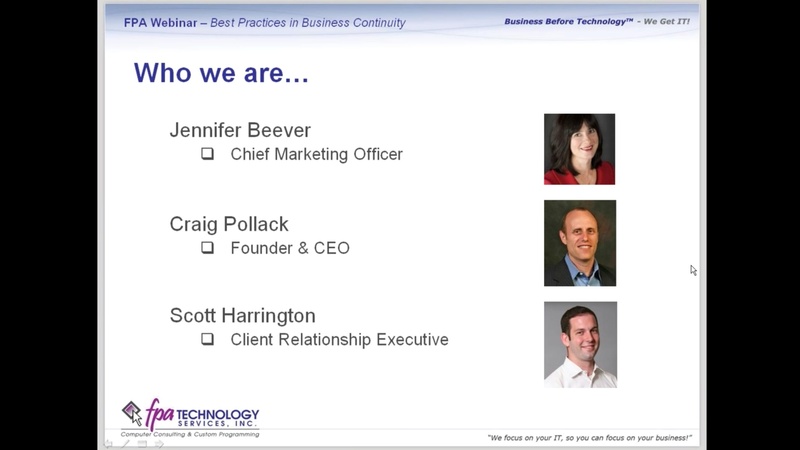 Presented in conjunction with Techrug - The Technology Risk Underwriting Group. 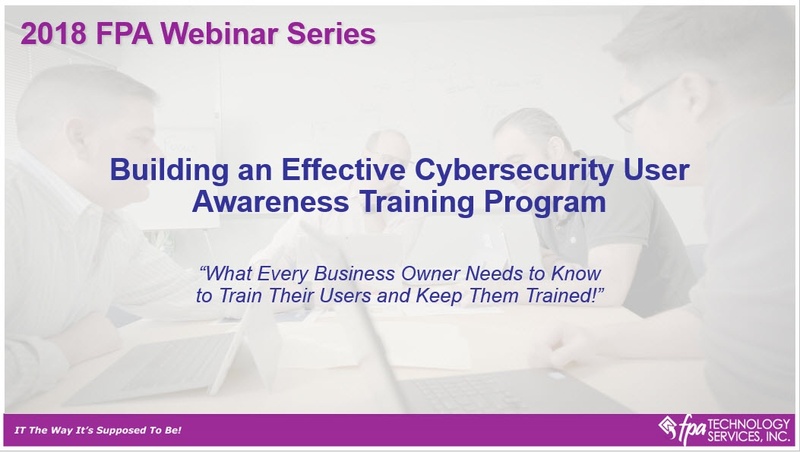 In this Webinar, FPA covered what you need to do to have a strong Cybersecurity User Awareness Training Program in place to protect your business from hacks and data breaches. 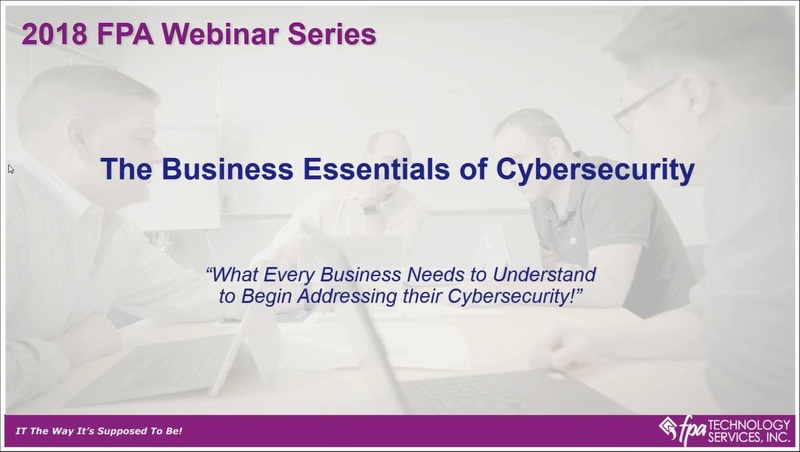 In this live Webinar, FPA covered the basics of cybersecurity to ensure businesses have a foundational understanding of this topic along with how to go about addressing it for their businesses. In this live Webinar FPA covered what Financial Advisors must do to ensure their businesses are prepared and can withstand any disaster with minimal disruption to their computer systems. 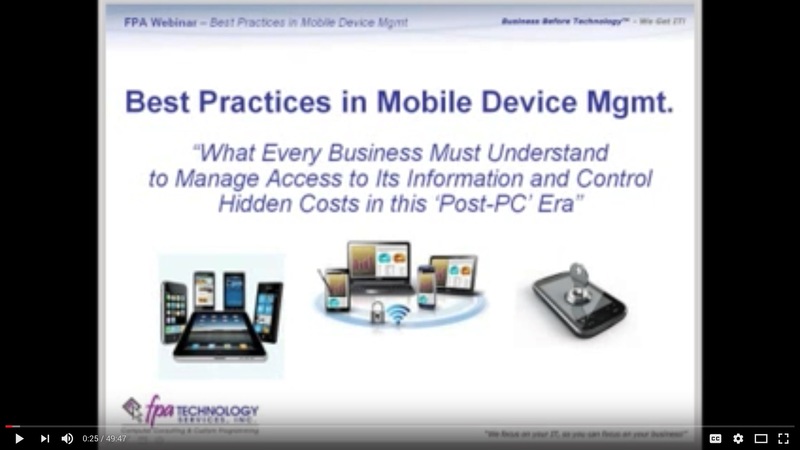 In this live Webinar FPA shared our Starter Guide to Mobile Device Management, including best practices. This video explains what every business must understand to manage access to its information and control hidden costs with mobile device access to the company's network by employees. 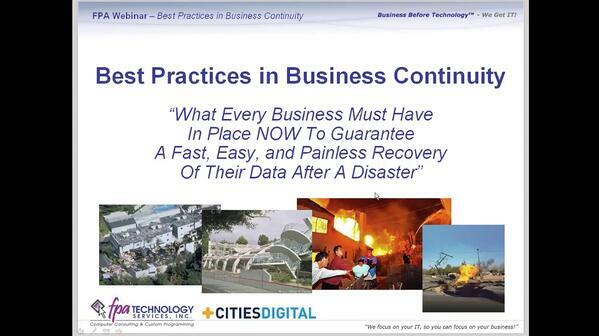 In this live Webinar FPA covered what companies must do to ensure their businesses are prepared and can withstand any disaster with minimal disruption to their computer systems.